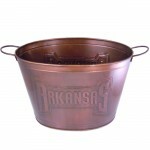 LARGE TIGER OVAL COPPER TUB 18 x 13 x 12 ..
COPPER BUCKET W/DIAMOND CUT DESIGN 18 x 13 x 12 ..
YELLOW COLORED DESIGNER TUB 22.75''X12''X8.75'' ..
Water Meter Copper Tub 18''X13''X12'' ..
FDL COPPER TUB W/CUT OUT FDL DESIGN ..
COPPER BUCKET W/DAMASK DESIGN ..
COPPER AND BRUSHED GOLD MULTI FDL BUCKET .. 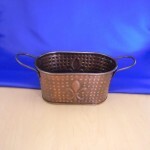 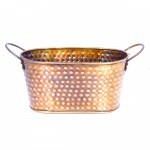 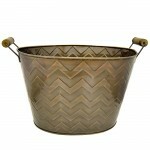 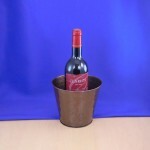 PLAIN OVAL COPPER TRAY .. 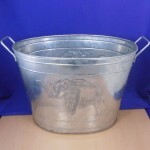 PLAIN OVAL SILVER TRAY ..
FDL METAL BUCKET BLACK ..
TUB ELEPHANT FACE SILVER ..
TUB ELEPHANT COPPER COLOR ..
TUB ROUND TALL UMBRELLA STAND LONGHORN SILVER .. 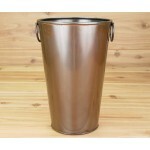 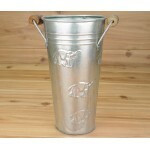 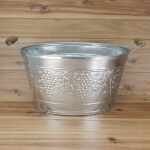 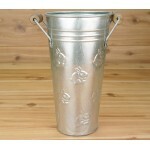 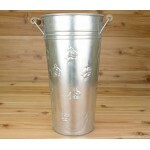 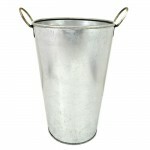 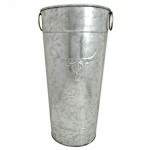 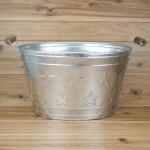 PLAIN SILVER TUB ROUND SMALL TALL / W FDL .. 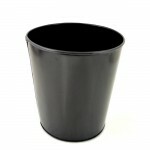 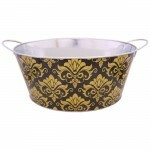 PLAIN SILVER TUB ROUND SMALL TALL ..
1200 - BLACK BUCKET W/SILVER FDL ..
BLACK BUCKET W/GOLD FDL ..
Gold Dmask Bucket / W Black Base 23.5" X 16" X 8.75" ..
SILVER BUCKET W/DAMASK DESIGN ..
SMALL FLOWER VASE COPPER / W FDL .. 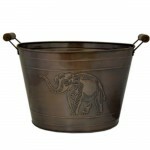 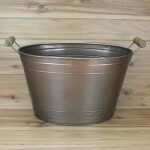 ANTIQUE GREEN & BROWN WINDOW PLANTER ..
BUCKET SMALL BRASS HAMMERED ..
SMALL FDL HAMMERED - COPPER TUB ..
TUB SMALL COPPER W/FDL HAMMERED ..
FDL HAMMERED SILVER SMALL TUB Size: 16"L X 11.5" W X 8.5"H ..
TUB ELEPHANT FACE COPPER COLOR. 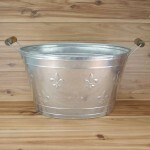 ..
TUB ELEPHANT SILVER COLOR ..
Tub Oval Large w/ Stars ..
Tub Oval Large w/ Fleur De Lis. 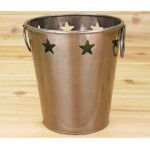 ..
Tub Oval Large Copper w/ Stars ..
Tub Oval Large Copper Plain. 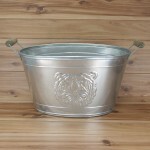 ..
Tub Oval Large Silver Tiger. 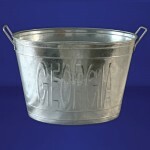 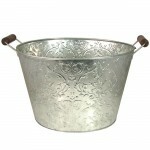 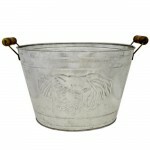 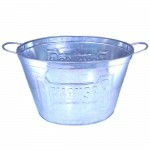 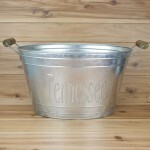 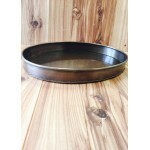 ..
Tub Oval Large Silver Tennessee. 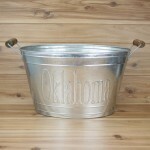 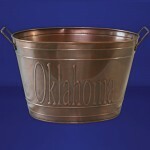 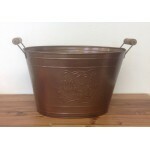 Qty Price 1-5 ..
Tub Oval Large Copper / W Oklahoma Design. 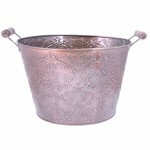 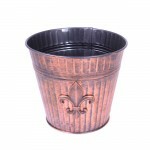 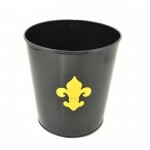 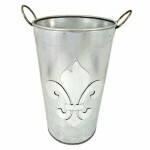 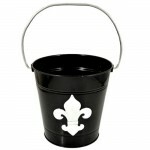 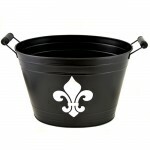 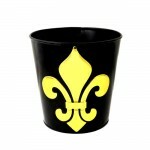 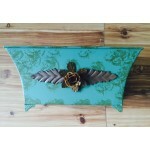 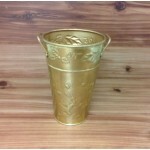 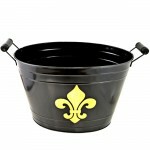 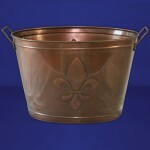 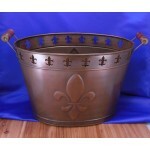 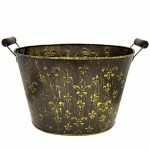 ..
Tub Oval Large Copper / W Single Fleur De Lis Design. 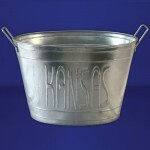 ..
Tub Oval Large Silver Kansas. 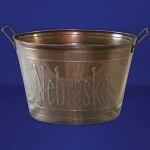 ..
Tub Oval Large Copper kansas ..
Tub Oval Large Silver Georgia. 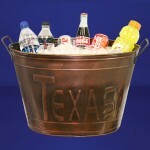 ..
Tub Oval Large Copper Texas. 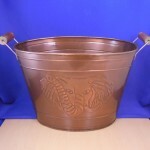 ..
Tub Oval Large Copper Nebraska ..
Tub Round Tall / W Elephant Design ..
Tub Round Tall / W Rabbit Design ..
Tub Round Tall Copper Plain ..
Tub Oval Large Silver / W Grapes. 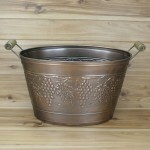 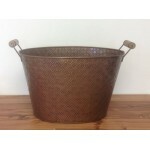 ..
Tub Oval Large Copper / W Grapes. 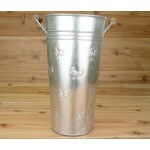 ..
Tub Round Tall Umbrella Stand w/ Owl ..
Tub Round Tall Umbrella Stand w/ Rooster. 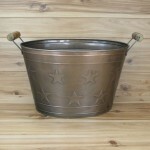 ..
Tub Round Small Copper Tone w/ Stars ..
Tub Round Tall Umbrella Stand w/ Rabbit ..